When Michael Meade was thirteen, his aunt, seemingly by accident, bought him a book of mythology for his birthday. Though he felt profoundly aligned with the book and stayed up all night reading it, it would take another 20 years before it became evident it was his path in life, guiding him to his current calling as a renowned storyteller, author, and scholar in mythology and depth psychology. Meade’s latest book, The Genius Myth, focuses on how a person navigates a period of such turmoil and uncertainty. Meade’s use of the word “genius” is based on the old sense, he notes, referring to the unique spirit that is in each person’s soul, a concept often obscured in the modern world. One example of how the individual soul is oppressed is in that of transgendered individuals, Meade points out, especially children for whom the issue is active in them for some mysterious reason. The notion of the individuality of each soul makes it more feasible to respect the differences we all live in spite of appearances or backgrounds. One’s “complex” of abilities and gifts is what makes each individual unique and valuable. In a collective society, the uniqueness of life is often overlooked, yet this is the very thing that often provides meaning and purpose in an individual life. In the face of what Meade terms, the apparent “unraveling of the world,” I wonder how each of us might tap into the genius within. It is important to distinguish the genius myth from the hero’s journey—introduced into the mainstream by the legendary Joseph Campbell, Meade responds. This is what Meade does in his new book, The Genius Myth. Meade describes the hero as a person making “dramatic moves in the outer world,” emphasizing that in the hero’s journey, the accomplishments are in the outer world. Further, the hero is associated with a masculine way of being from a depth psychological sense, as the “hero” is linked to power and strength. The Genius Myth argues that the genius was already there before we were born, and is not only something we bring to the world, but even something that brings us to the world. It is about discovering the genius within. Meade, who works extensively with youth suicide situations, has found that many youths who committed suicide in the United States feel empty inside. The culture contributes to this feeling, imposing the belief that one must “make something of themselves.” Meade’s stance is that each of us already is something. We have to make ourselves aware of who we are. Given the dramatic changes going on in the world—and the rapidity of that change—along with “the rattling and even hollowing out of institutions,” there’s not much in the outside world a person can depend upon for orientation and coherence, Meade declares. 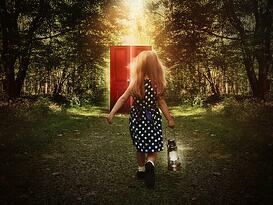 We must look inside to find the orientation of our lives and ways to cohere. One idea is that of an inborn genius that encompasses not only the gifts and abilities of a person, but also our purpose and destiny. Meade refers to the need for “vertical imagination.” In mythology, he notes, there’s an old idea that there’s always two stories going on: one is the ongoing story of the world, and the other is the story of the individual soul in the world. The soul involves the depth of a person, and in depth, a person is naturally connected to nature and the world around them. Our world has become rather flat, Meade suggests: Everybody is connected all the time, but it’s a horizontal connection. The connections don’t go deep enough to contain the growth of soul that is needed for either the individual or world, and we can see that in the consequences of that in increasing polarization and division, exemplified very tragically in the aftermath of the recent mass shooting in Orlando, Florida, as well as in other current events. People get back into an imaginative creative connection to the world through vertical imagination. Our connection goes deep into the soul on one end, where it connects not only to deep emotions but also the depth of feeling for being—for being present in the world and being connected to the world in depth, Meade believes. The other connection goes upward where one is connected to the great “high ideas” and the great imagination where people used to consider themselves connected to the stars. The human was originally intended to be the channel between the stars of the sky and the core of the earth, he insists. Each human is in that connection if they awaken to it. Michael goes on to offer two ways to access our inner genius, not the least of which is to glean what we can from traumatic circumstances or rejection by one’s family or community, both instances where the genius is often awakened most strongly. Jung wrote that genius hides behind the wound, so whenever we harbor a wound, we may believe that our genius was an integral part of our survival. “Something deep in the human soul awakens when things fall apart,” Michael penned in Why the World Doesn’t End. Jung called this process “individuation,” Meade affirms. Individuation is not only the natural calling for the individual, but the world itself is calling on people to come to consciousness and individuate on an individual level/ Once enough of us are doing that, the imagination of assisting the world to renew itself becomes possible. Michael Meade is presenting a weekend workshop, “The World is Churning: The Myth of Genius, The Genius of Myth, July 8-10, 2016, at Pacifica Graduate Institute. 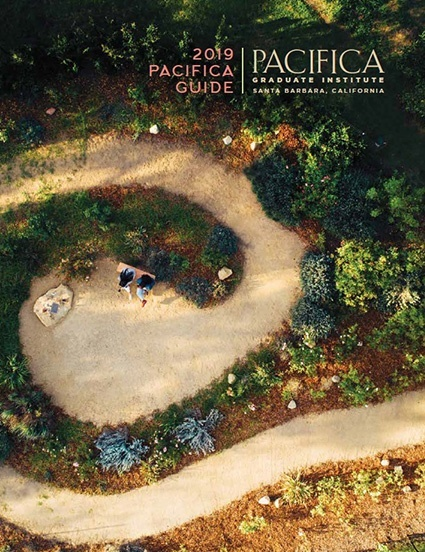 “Pacifica is one of the few homes in the entire culture for depth psychology and mythology,” Meade notes. “It’s one of the very few places where those two essential studies are being honored.” At the workshop, Meade plans to discuss creativity, imagination, and the genius in the soul in order to discover how to encourage this in ourselves so we can do meaningful work in the world. “Pacifica is the right place to do that,” Meade proclaims. 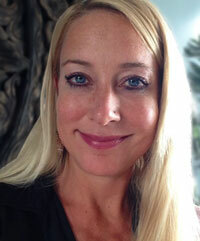 Bonnie Bright, Ph.D., is a graduate of Pacifica’s Depth Psychology program. She is the founder of Depth Psychology Alliance, a free online community for everyone interested in depth psychologies, and of DepthList.com, a free-to-search database of Jungian and depth psychology-oriented practitioners. She is also the creator and executive editor of Depth Insights, a semi-annual scholarly journal, and regularly produces audio and video interviews on depth psychological topics. Bonnie has completed 2-year certifications in Archetypal Pattern Analysis via the Assisi Institute; in Technologies of the Sacred with West African elder Malidoma Somé, and has been extensively involved in Holotropic Breathwork™ and the Enneagram.